Easy Tortellini Lentil Soup is exactly what the title says, easy. Not only is this soup easy, it’s fast, affordable and so delicious. 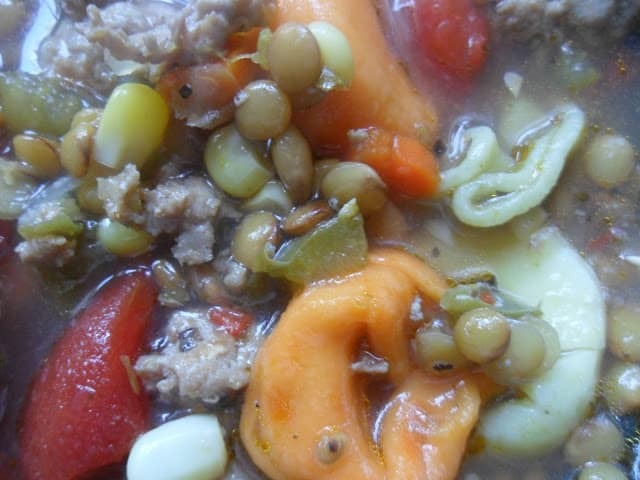 This soup came about one chilly afternoon, when my hubby and I came in the house after raking leaves all day. We were not only cold, we were hungry. We ate bowls of easy tortellini soup with slices of crispy garlic bread. Bowls of this soup really hit the spot. Lentils are a great way to add fiber and flavor to any soup or stew recipe. Not only do lentils add fiber and flavor, lentils add body to soups, are fast cooking and are very versatile. Lentils have a fair amount of of calcium and vitamins A and B. They are a good source of iron and phosphorus. Lentils should be stored airtight at room temperature and will keep up to a year. Use lentils as a side dish combined with vegetables. This delicious soup will warm you up on a cold night. Made with ingredients most of us already have on hand, such as; carrots, celery, onions, carrots, beef broth and canned tomatoes. Another ingredient this soup calls for is frozen tortellini. I always keep packages of frozen tortellini, ravioli and mini ravioli in my freezer. 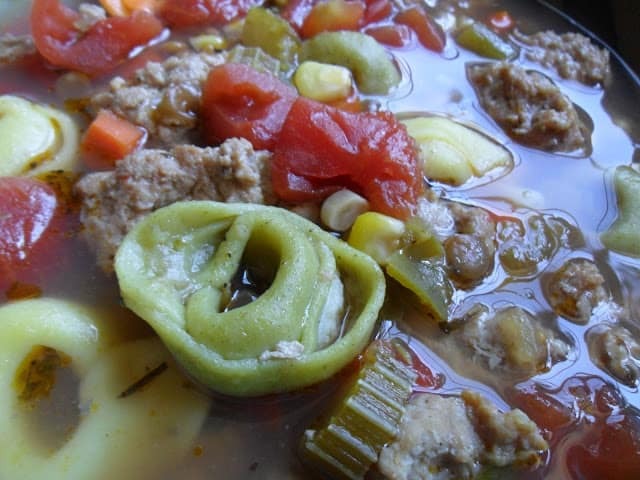 Frozen tortellini and mini ravioli are great additions to soups. and stews. 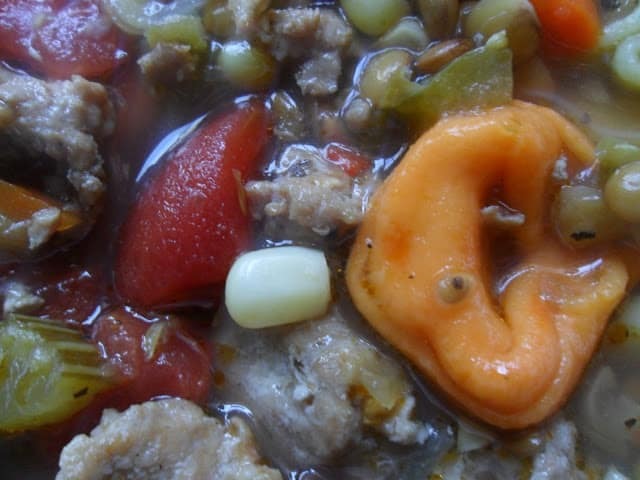 A fast and delicious soup made with convenient store products. 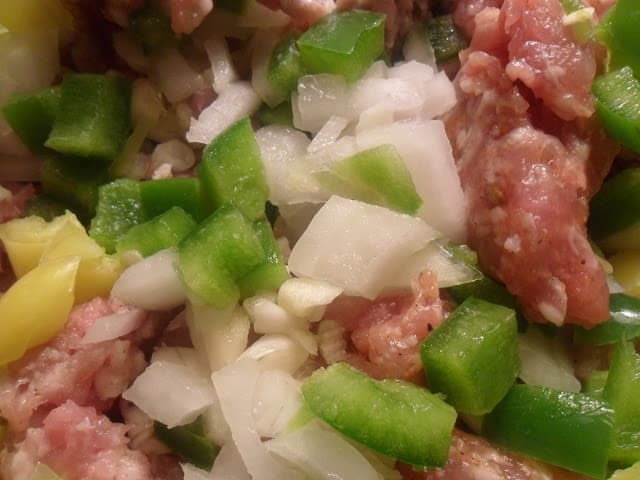 In Dutch oven or large soup pot, heat oil over medium heat, brown sausage, garlic, onion, peppers, celery, and carrots until sausage is browned and vegetables are tender. Drain. Add juice from lemon, corn, lentils, pizza seasoning, salt, pepper, beef broth, water, and tomatoes. Bring to a boil, reduce heat, cover and simmer for 1 hour. Add tortellini, simmer 5 to 10 minutes longer. Serve with parmesan cheese and garlic bread. Cheese filled ravioli can be substituted for the cheese tortellini. Here are a few more soup recipes you might like…Smoky Gouda Cheese Soup and Tomato Soup with Grilled Cheese Croutons.